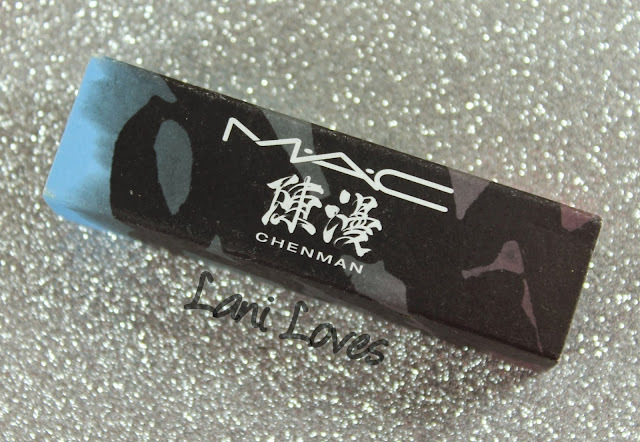 The MAC Chen Man Love & Water collection was released in March 2012 and was one of the first in a series of collaborations with Chinese artists, photographers and designers. MAC's decision to sell in China, in spite of the Chinese government's requirement that they agree to animal testing in order to sell there, is an ongoing source of debate in the beauty community. MAC believe they are working to change the system from the inside by encouraging the Chinese government towards the use of in vitro testing, which is more accurate and cruelty-free, while others criticise MAC's decision to cede their cruelty-free status at all. I remain on the fence about the whole thing, which is probably cowardly of me, but there you go. I'd love to hear your thoughts on the subject. 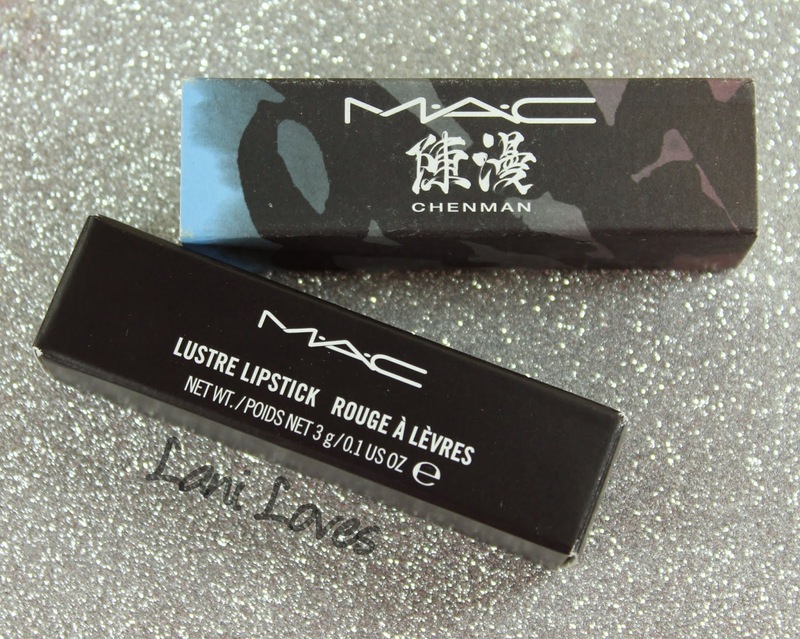 As MAC have expanded their market to China, however, I have enjoyed the collaborations, from Chen Man to the more recent Guo Pei, Chris Chang and Min Liu. When this collection was on counters back in 2012, my husband Mike bought the Force of Love lipstick for me. He teased me that he would hide it for the two months until my birthday but it wound up being an early birthday present! I picked up the other lipstick from the small edit, Budding Love, a year or so ago on an impulse when I stumbled upon it in a destash and I'm so glad I did. 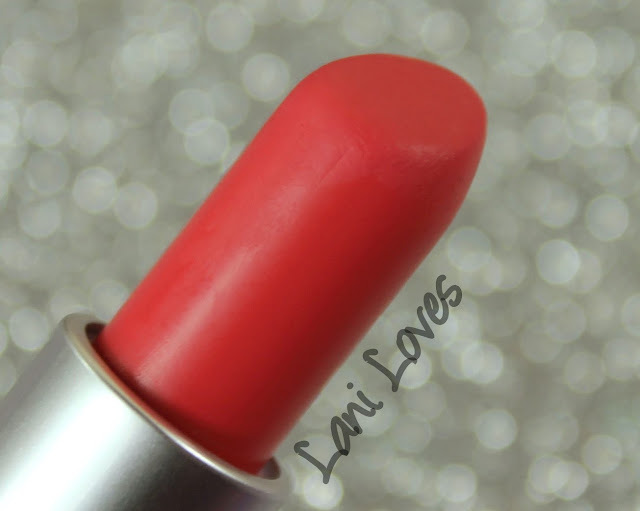 Scroll on down to see swatches of them both. The packaging for this collection was a bit of a tease, as the beautiful print shown was only on the box sleeve and the products were actually housed in standard packaging. 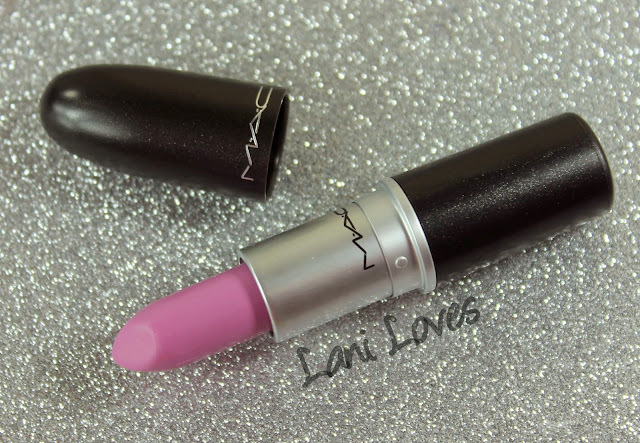 Not that I don't enjoy MAC's regular packaging, but their limited edition packaging is always to die for and it could have been so gorgeous, had the prints been properly incorporated. At least they've upped their game in the more recent collabs! 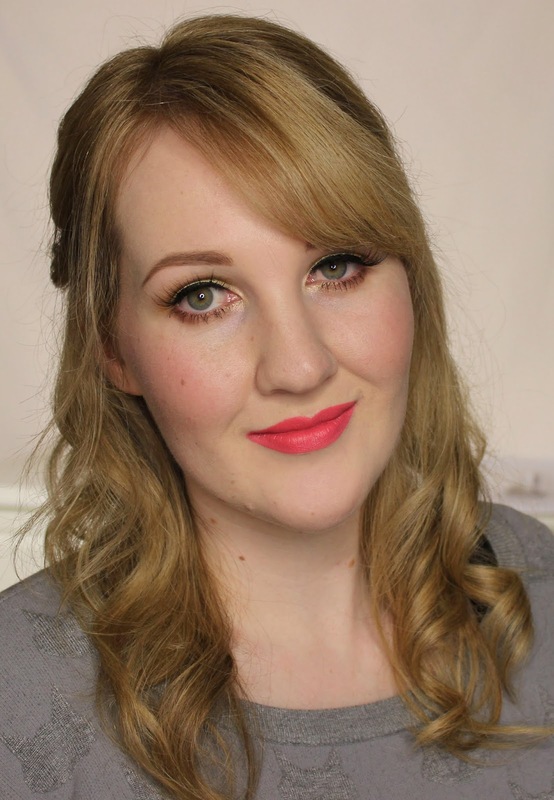 There are just two lipsticks in this collection which makes for a very brief overview! Budding Love is a Lustre, which can be more hit or miss. They're sheer or semi-opaque, sometimes sparkly and a little glossy, though not as glossy as Amplifieds or Cremesheens, and many people find them drying, though this wasn't the case here. 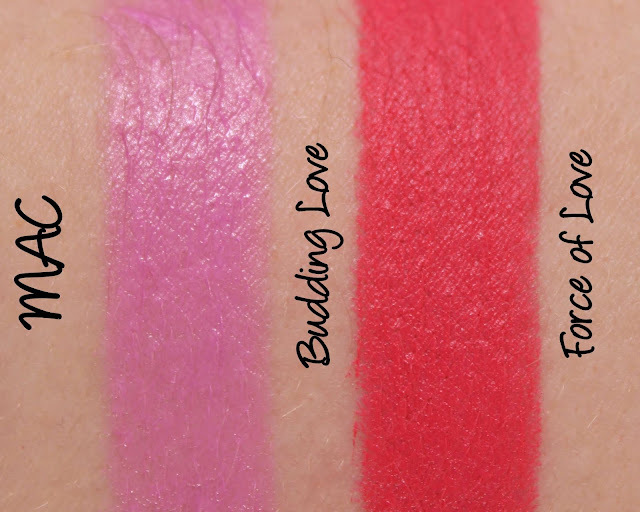 Mattes are richly pigmented and have a smooth, velvety texture which I don't typically find drying; Force of Love is on the thinner, more slippery side. MAC lipsticks have a vanilla scent. 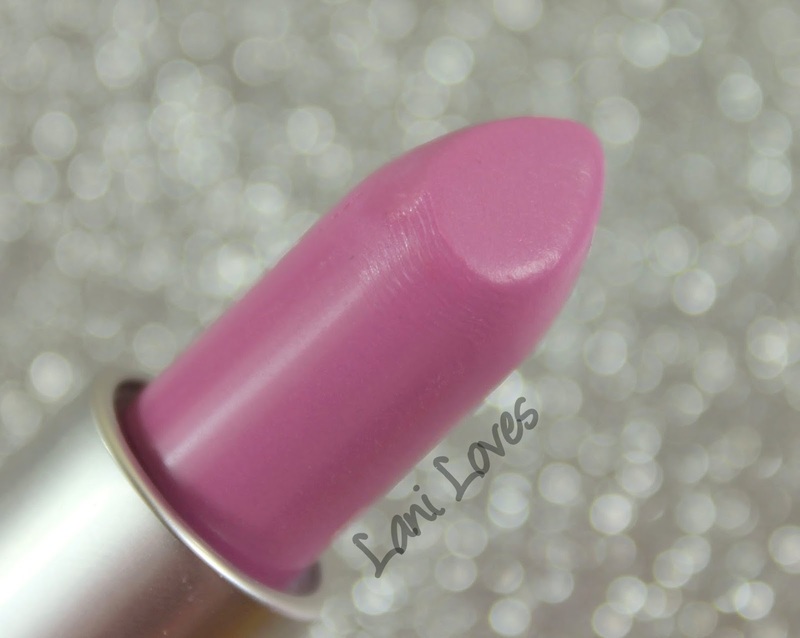 Budding Love is described as a 'pale lavender' and has a Lustre finish. 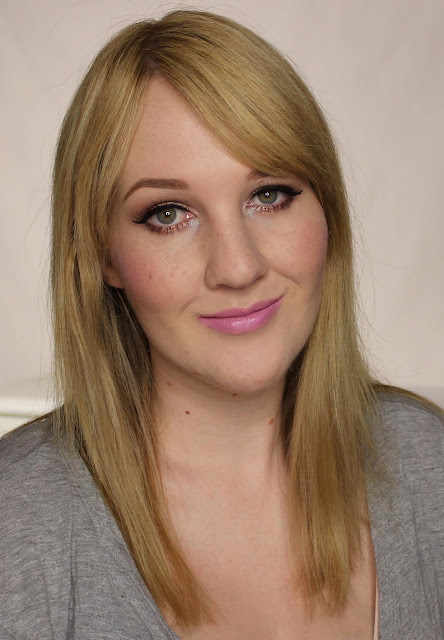 This isn't a colour that always works for me but between the subtle warmth in this shade of lavender and the choice to pair it with warm tones on my eyes in the below look, I think I pulled it off! 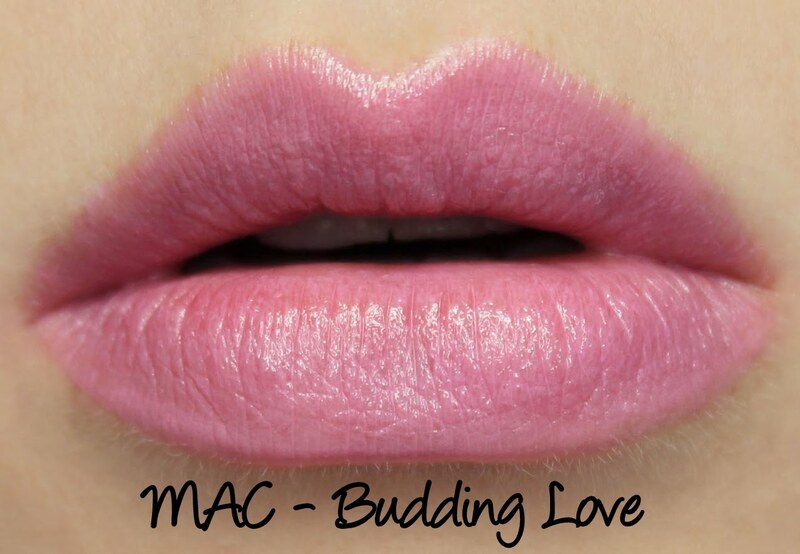 Budding Love is one of the 'good' Lustres, in fact, it's really more like a Cremesheen - evenly pigmented, glossy and non-drying (some Lustres can make your lips feel like a desert!). It lasted four hours on me. 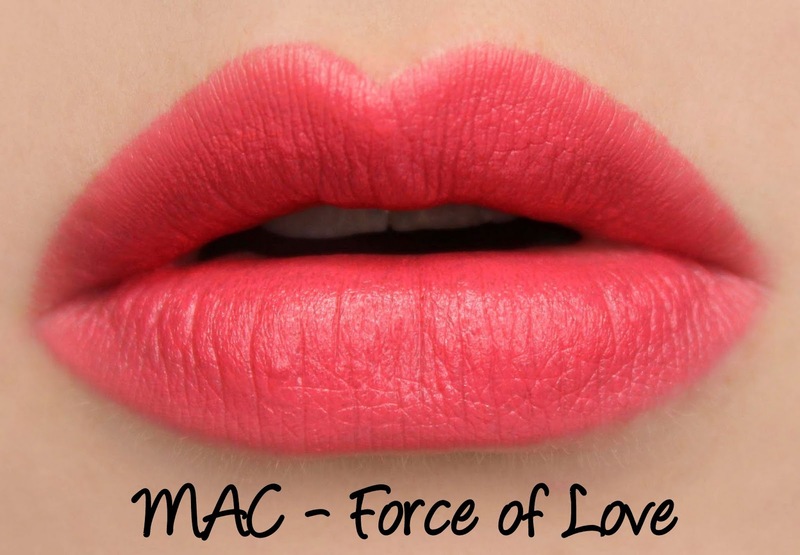 Force of Love is described as a 'vivid honeysuckle pink' and has a Matte finish. 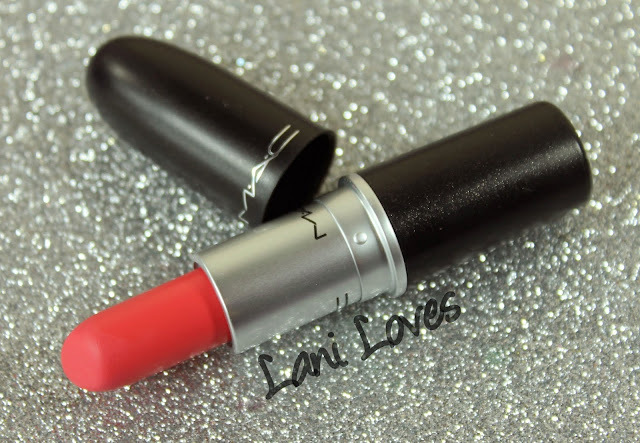 This is one of MAC's more slippery, silica-feeling Mattes and being used to their denser Mattes like Russian Red and Ruby Woo, I found this newer texture a bit off-putting at first. It's grown on me over time though, after all, how could I resist that colour?! It's gorgeous. Force of Love lasted six hours on me and wasn't drying. What do you think of these lovelies?